EVERY time you pick up a pandan basket made in Calatrava, you pick up a work of art steeped in the culture of the locals. Calatrava has always been known as the source of pandan mats, the banig. 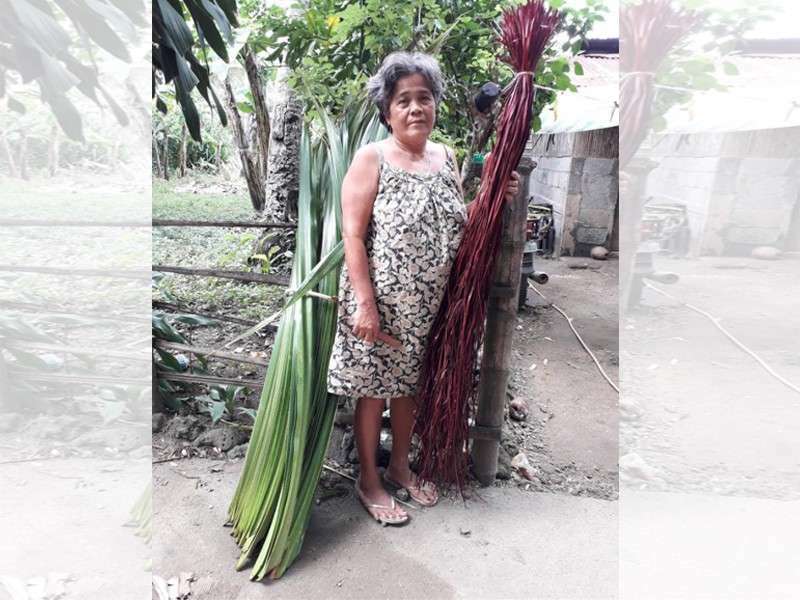 Pandan leaves that have been stripped of their serrated edgings are cut into the desired length, air-dried, dyed, and dried again, and finally woven into the supple, smooth, and surprisingly durable mats that a typical Filipino household is never without. I call a banig a carpet of dreams for many a mat spread out on a bamboo slat floor has lulled families to sleep. 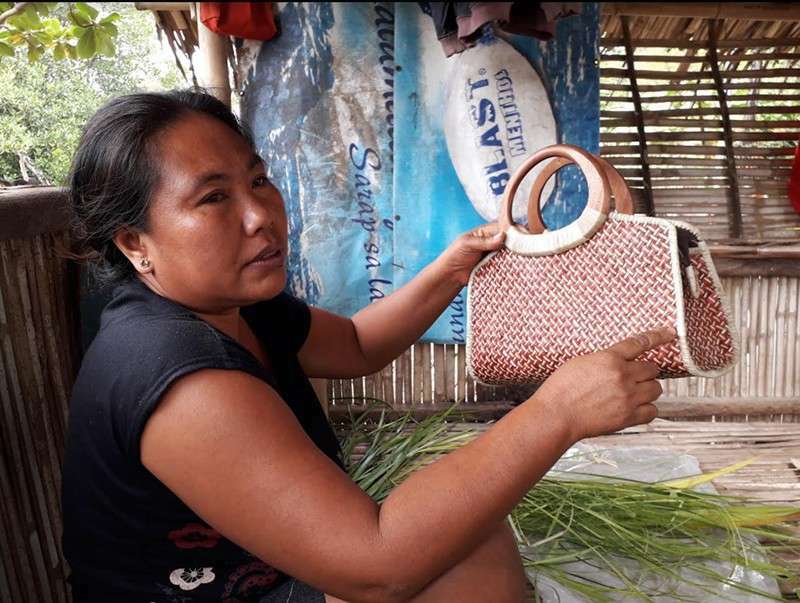 When Calatrava looked beyond the banig as a mat, it was able to raise the standard for handicrafts by fashioning the banig into bags and similar items. 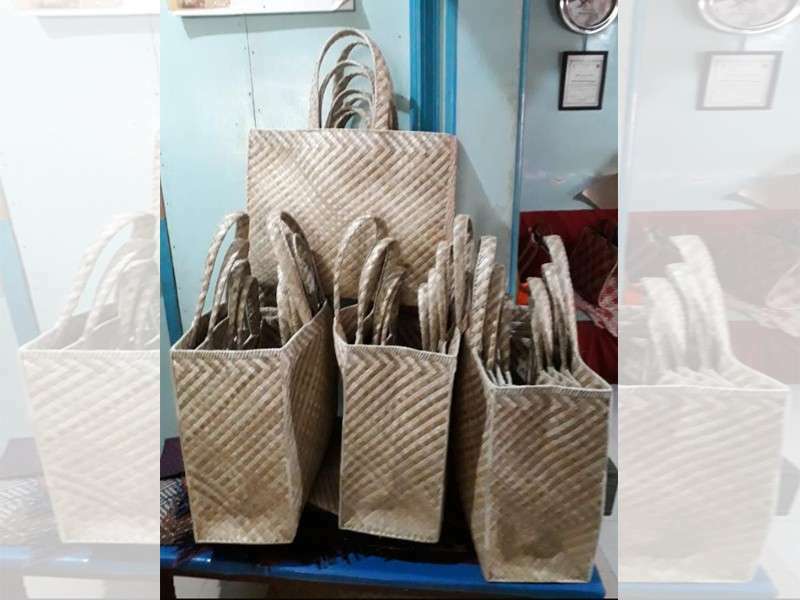 Calatrava bags and baskets may be found in public markets as well as posh stores. Such popularity that cuts through all social classes has middlemen buying pandan products that eventually get sold in places outside Negros and are passed off as made-elsewhere-but-Calatrava. This is a case of misrepresentation as a form of flattery. The Pandanus tectorius that grows taller than a man is bountiful in Calatrava. 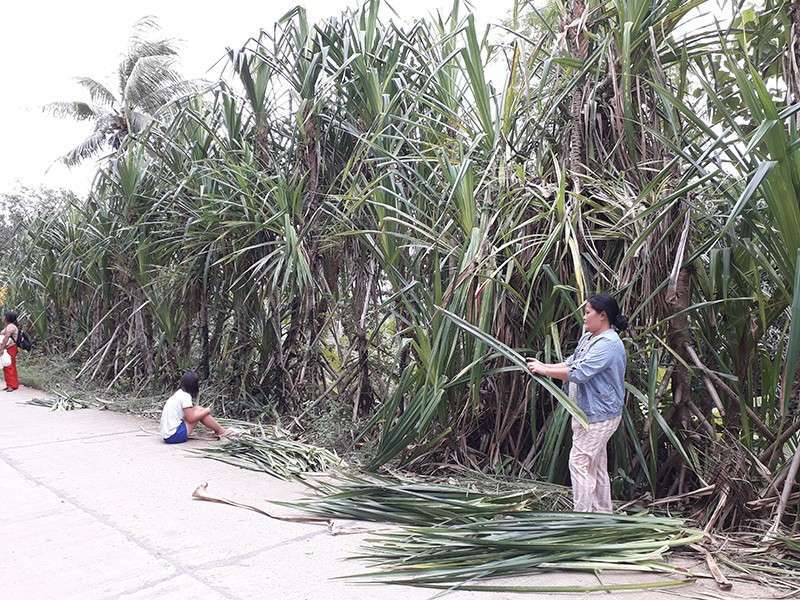 Its more aromatic kin, the Pandanus amaryllifolius or the screwpine, is a popular ingredient in Southeast Asian kitchens, but the tough, looming foliage of tectorius has provided a sustainable livelihood for the Calatrava locals for many generations. The leaves are harvested and sold by the piece; there are the strippers and dyers and weavers and the sewers – all indispensable to the artisanal industry. It is not easy to get to Calatrava from Bacolod. To get from West to East, from the side facing the Guimaras Strait to the Tanon Strait, one travels for three hours (or less) over good roads that traverse either the coastal road to the north, or cut through to pass Murcia, and Salvador Benedicto. The journey is made pleasant with bucolic scenes of verdant rice terraces, tall wild ferns, and rows and rows of pineapple that look like spiky dreadlocks. My driver was speed fiend and I arrived in one piece in Calatrava in two hours, but not without almost throwing up on his van’s interior carpet. 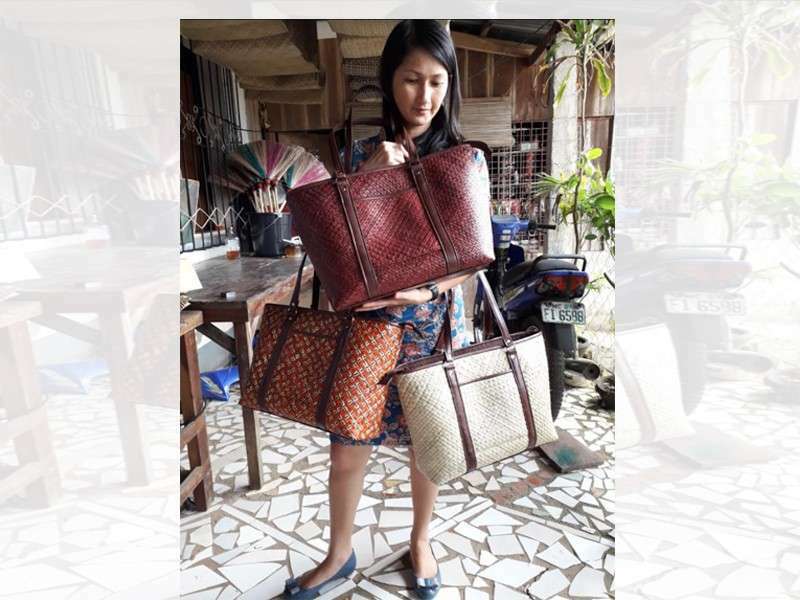 It was a trip worthy of any inconveniences for it was an eye-opening experience seeing how our pandan baskets and fashionable bags get to the capital city and become indispensable everyday utilitarian stuff. I visited three producers who all started as banig makers and did very well in the fashion accessory industry. Their lives have been uplifted by pandan weaving and so had all those who are employed by the businesses. Marivic, 43, started weaving at 8 years old and learned the craft from her grandmother. Yet, not everyone had stayed that long. Neneng used to have 100 workers but now she has only 30; Timay used to have 300, the number of which has been reduced to 80. 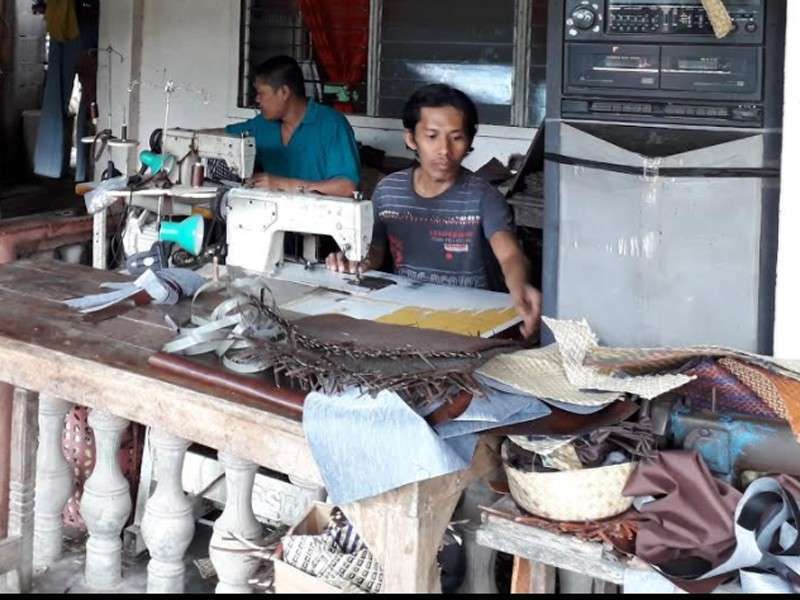 Ester, who started in 1996, now maintains 30 workers and three sewers who sew the finishing touches of cloth or leather to the pandan products. The ones who left had left to find employment somewhere, or got married, or settled outside Calatrava. So, every time you pick up a Calatrava basket, remember that behind this cheap, ordinary item is an old-age craft that keep our harvesters harvesting, our weavers weaving in the cool caves, our dyers dyeing, our sewers sewing, our designers designing, and our patronage preventing our Filipino basketry industry from becoming a basket case.